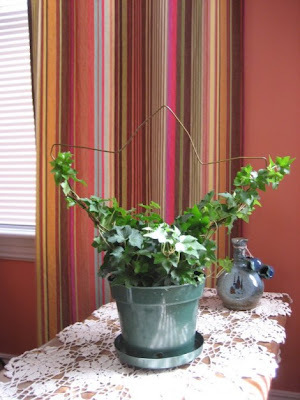 Here are some cool and creative ways to reuse clothes hangers; all the ideas and designs listed below needn't be using old clothes hangers though these definitely give a head start. 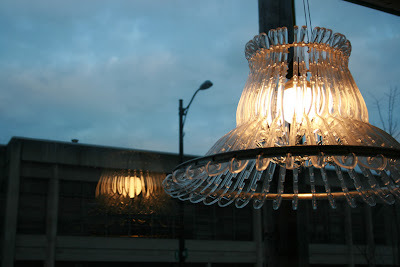 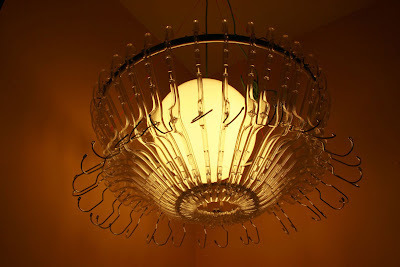 "48" Lighting Design: 101 Design Studio has come with a clever way to reuse hangers into cool looking lights. 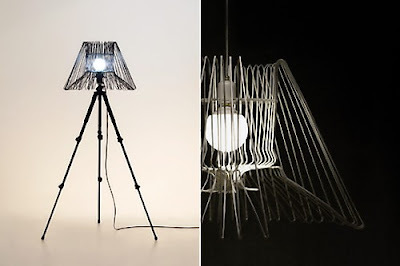 Lamps are available in two versions the "48 Hanger" and "48 Stand". 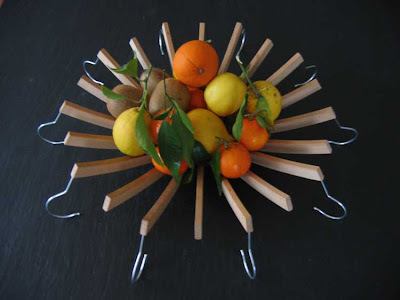 Coat Hanger Fruit Bowl: It's made of conventional crescent coat hangers. 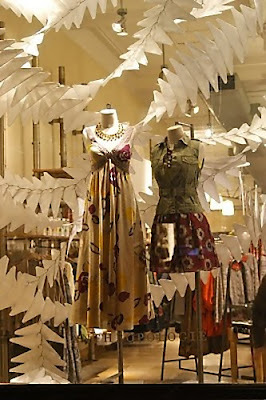 Hanger Lights: Creative reuse of wire hangers at 'Anthropologie'; they have turned hangers into lights. 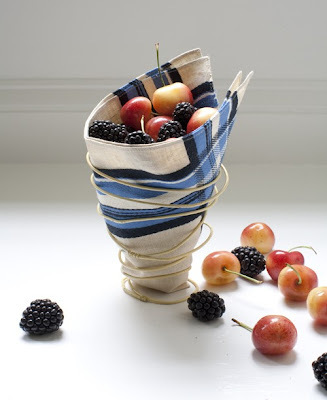 Make a Multifunctional Container: A cool and simple DIY project for turning a wire hanger into a little container. 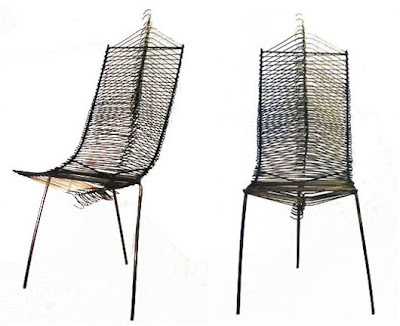 Hanger Chair: Creation of Vanessa Marie Robinson a Brooklyn-based industrial designer; this chair uses 61 old coat hangers welded onto a steel frame. 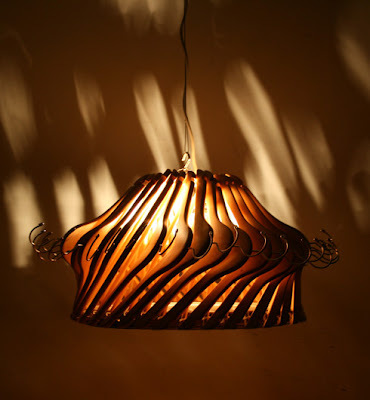 Hangeliers - Clothes Hanger Chandeliers: Hangeliers by Organelledesign makes wonderful chandeliers from off-the-shelf plastic and wood hangers. 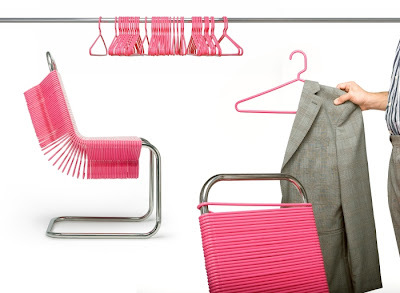 Coat Check Chair: Creation of Boston-based designer Joey Zeledón. 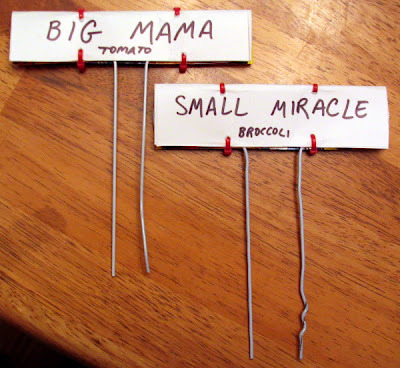 Garden Staples, Wire Topiary and Plant Markers: Reuse hangers to make garden plant markers, wire topiary and garden staples. 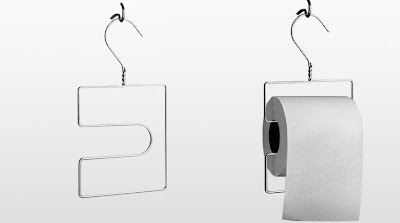 Clojo - Toilet Paper Hanger: Studio Stallinga invented this cool minimalistic reuse of clothes hangers, its called Clojo - toilet rollhanger. 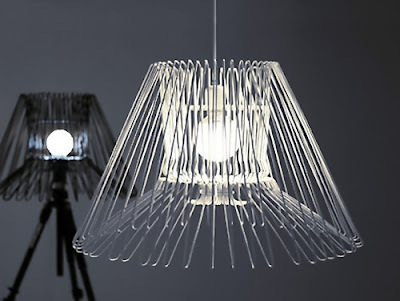 Neck Collar: Creation of product designer Frederike Top. 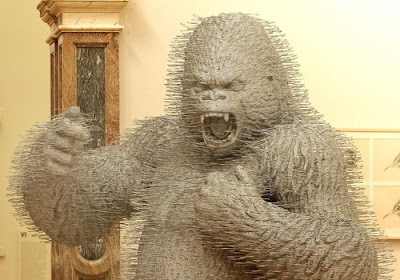 Coat Hanger Gorilla: Sculptor D Mach constructed this sculpture entirely of coat hangers.